February is Women in Horror Month. To celebrate, I have compiled a list of some women that are horribly horrific! Whether they are the heroine, the killer, or the damsel in distress, these iconic ladies have taught us several life lessons (like child stars really do not age well, always be aware of how many siblings you have, the quarterback of the football team never really liked you and soooo many more). Her run in the Halloween movies had us running to our parents to make sure we didn’t have any creepy little brothers they were trying to hide from us. Now she is peddling yogurt that helps our digestive systems. That’s okay, Jamie Lee, if I need to poop I will just watch your Halloween series! She is one of my personal favorites. She was not your typical beauty that was cast in many horror films as the heaving bosom damsel in distress. Her look was very unique. She could go from helpless victim in Burnt Offerings (which also starred Bette Davis) and Trilogy of Terror to psycho killer momma in the Rob Zombie cult hit House of 1000 Corpses. We lost her to cancer a while back and she is one that can’t be replaced. If ever there was a movie that taught you not to pick on the quiet weird girl Carrie is it. Sissy Spacek took this role and owned it. The prom scene is one that is so embedded in our memories that any dances we may have attended had us looking towards the rafters in search of buckets of pig blood. She taught us to never trust the popular girls at school and if the quarterback asks you to the prom just say no. Obviously from my choices you can tell I am an old school horror fan. This lady, better known as Carol Ann’s mom from Poltergeist, literally dove into the white light to save her little girl from some pretty nasty spirits. The ghostly groping scene kind of made the whole “No means No” campaign insignificant. Her long run down that short hallway made me seriously re-think my cardio program and the little swim with the skeletal remains?? Nope, never getting an in ground pool! Help me celebrate these ladies that made these films iconic! Give your favorite Woman in Horror a shout out in the comment section below! So you’re saying the Halloween series scares the crap out of you? So many horrific women so little time! The Bad Seed is also a great one. So hard to pick a favorite off that list. 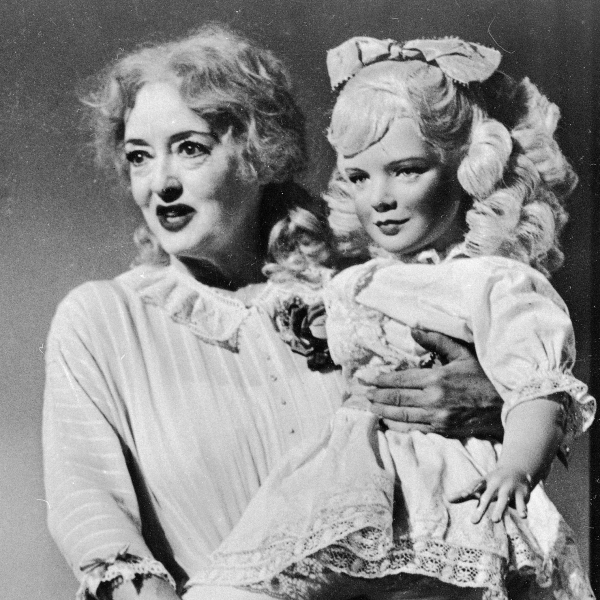 I keep hoping “Whatever Happened to Baby Jane” will show up on Netflix.